a historic building gets a second life. the proud company was in need of relocating it's headquarters. the owner had an uncle that owned a beautiful building on the main street in the west end. the problem was the upper level had set empty and neglected for many year and the main level had become a storage are. it was pretty hard to see how the building could possibly be used again. 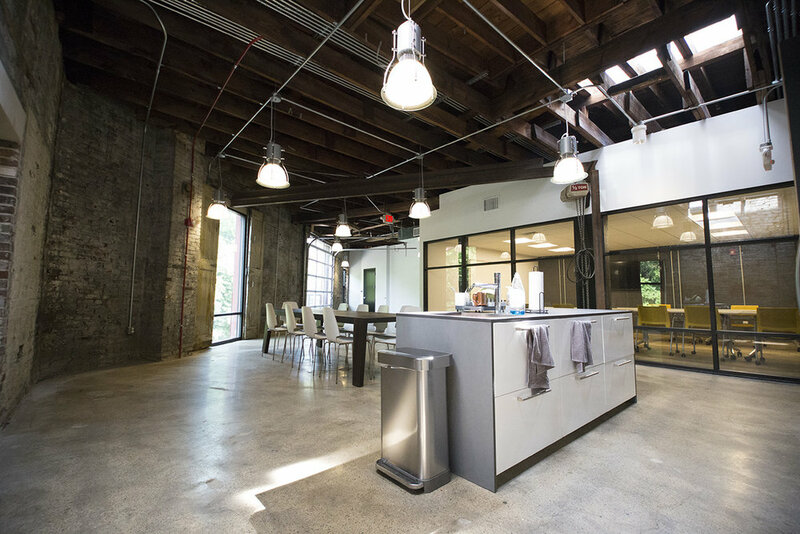 ultimately, we looked past the junk, leaking roof, and holes in the walls and took the company's involved program and ended up with a great space that respects the history of the building and incorporates new materials and functions.